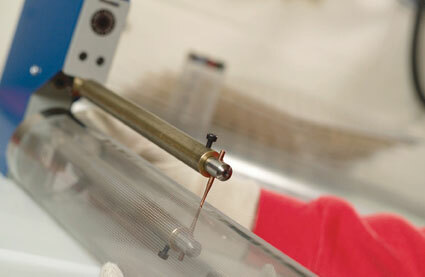 Qualitetch offers a full-service manufacturing process for parts and components. In addition to this, there are various general tool room services on offer, including grinding, polishing, heat treatments, spot-welding and welding, soldering, drilling and reaming. All of which are part of the many manufacturing solutions and processes that we provide. We utilise hand folding or dedicated hard tool forms to form components using the photo etching process. We also offer a service for component stamping. This is completed by using bespoke press tools or progression tooling, depending on the volume of components required. We offer a wide variety of photo etching processes to suit your needs, and can easily produce components to your specifications, thanks to the flexibility of the processes we use. For more information on the rest of the services we offer, please click here .